We started with Mass at Beatitudes overlooking the Sea of Galilee. The excellent homily is <a href=”http://www.yorutube.com/watch?v=mO1MQJJHw4A” target=”_blank”>here</a>. A nice hour drive north to the Lebonese border with Fr. James Conlon telling his vocation story. <img src=”http://www.footprintsofgodpilgrimages.com/wp-content/uploads/2017/02/IMG_7648-169×300.png” alt=”” width=”169″ height=”300″ class=”alignright size-medium wp-image-1591484″ /> We arrived at Caesarea Philippi where Steve gave his talk and “Peter, the Rock, the Keys & the Chair.” And here we met Governor Mike Huckabee. From there we ate lunch at a Druze Restaurant. A while ago I gave a talk in Ann Arbor entitled “The Foundations of our Faith: Scripture, Tradition & Magisterium.” (Watch the video below.) 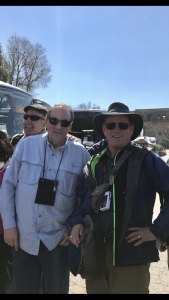 As I love to do, I tied the Old and New Testaments together and showed the continuity that lays the foundation for who and what we are as Catholics today. But my second purpose was to show how I do my research these days. 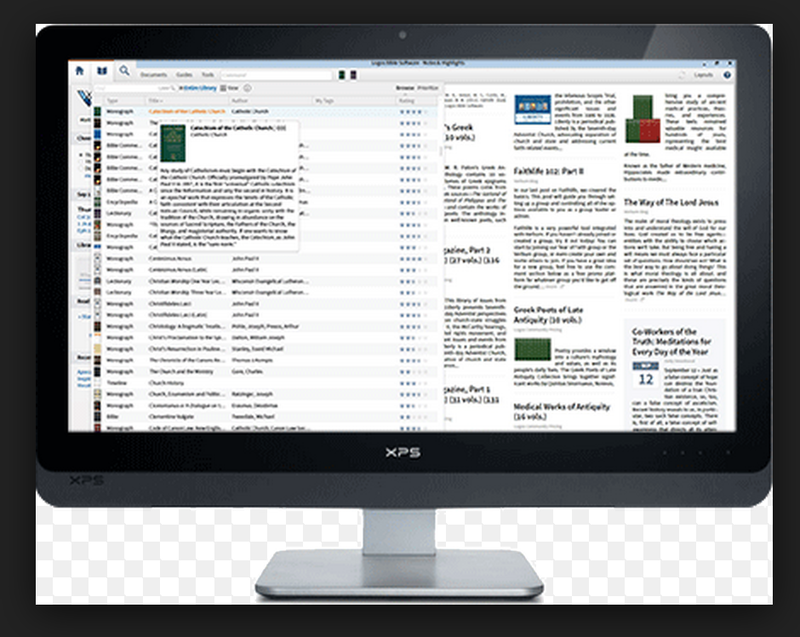 I have given away about 1/2 of my books because I rarely use my 20,000 volume library any more because I have Verbum Catholic and Bible Software. The future of Bible and Catholic study is here. There is nothing like Verbum. The talk was video-taped and you can see me (kind of dark to the right) but you can easily see the screen where my friend and Verbum associate demonstrated how powerful it is and how it puts whole libraries at your fingertips. 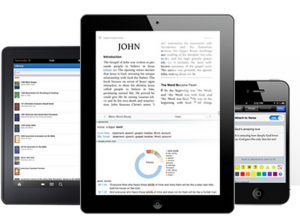 To learn more about Verbum visit my Verbum page and if you use STEVERAY10 in the Promo Code you get a 10% discount. I began using Logos over 20 years ago when it was still a Protestant and when Logos was solely Protestant. I urged them over the years and worked with them to develop a Catholic package. I even gave talks at their corporate offices in Washington State. Three years ago they DID IT and the result is stupendous. There is nothing else like it. Study Scripture, the Tradition, the Catechism, the Lectionary with reading and saints and more. Delve into the Hebrew and Greek without even knowing the original languages. Use Bible dictionaries, read the Fathers of the Church….